I love this little light! It is light-weight (0.3 lbs) and thin, which makes it really easy to carry with you. 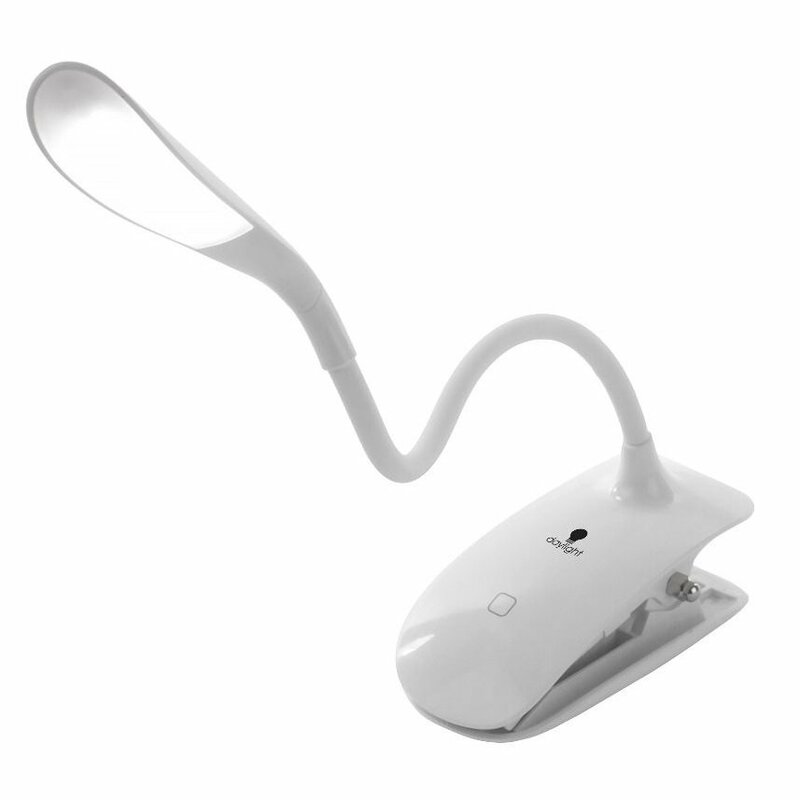 It has a flexible arm so you can direct the light wherever you need it. The light will sit on your work surface OR you can clip it onto something, like your Lap App or sandboard. It would also make a dandy booklight. The light features 3 levels of brightness. It allows for accurate color matching, and is low heat. It is battery or USB powered. The box includes a 39 1/2" USB power cable that can be plugged into at standard USB power charger. the lamp comes loaded with rechargeable batteries.